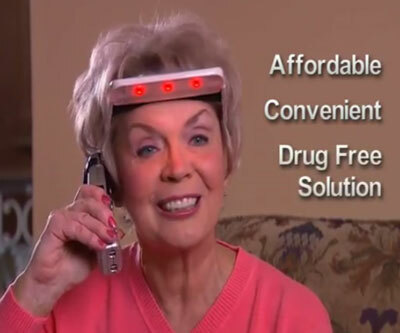 I wonder if the idea for this product was inspired by the title of the movie Eternal Sunshine of the Spotless Mind or the TV show It’s Always Sunny in Philadelphia. 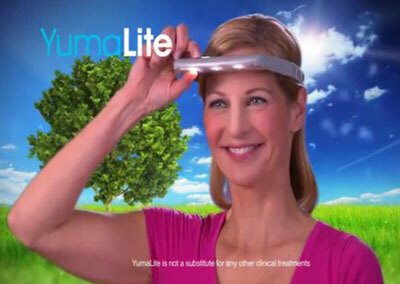 YumaLite is a light therapy visor that is supposed to overcome “seasonal affective disorder” by letting you bring your own personal “sunshine” with you wherever you go. 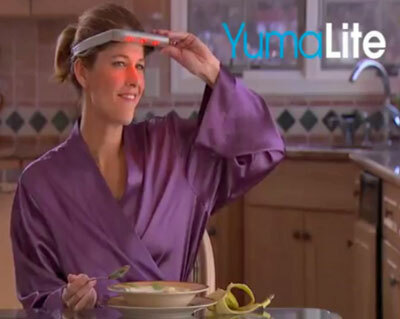 When you wake up feeling sad at the cold and cloudy weather outside, now you can just strap a YumaLite to your head and start feeling happy. It’s akin to Matrix-style virtual reality, only a lot more practical and it lets you look cool like some sort of a cyborg. 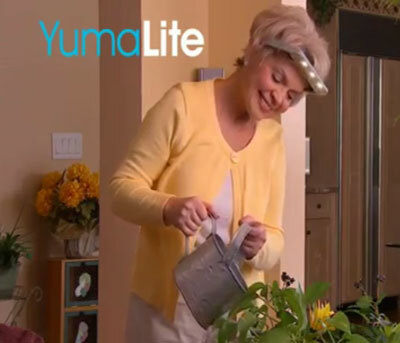 In the grand tradition of innovative infomercial fashion products like the Snuggie, Cozy Caftan, and iGrow, YumaLite gives you an updated version of the stylish look enjoyed by 1920s accountants and blackjack dealers. Forget taking Prozac or Paxil! When you walk around wearing a YumaLite, the sun will always be shining and the birds will always be chirpingat least if you’ve bought a Perfect Polly Pet. 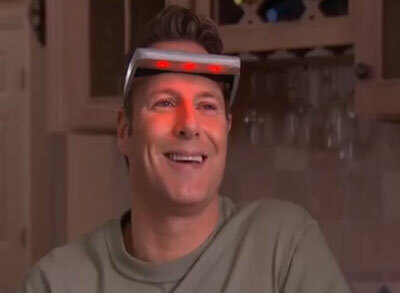 While light therapy is a real actual thing, the light used has to be fairly intense GREEN light (as the eye is more sensitive to green light than any other frequency) and I don’t think red light even does anything noticeable. 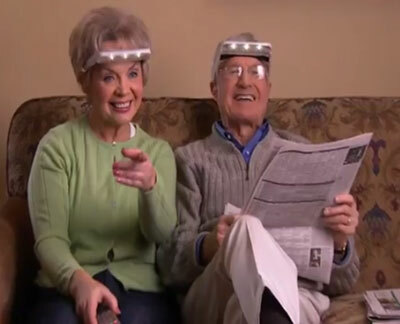 Oh well, at least they’re using up their surplus red LED’s in this silly hat. Pair this with the iGrow and you have the start of a wicked retro sci fi costume.